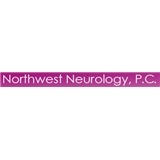 Northwest Neurology (Austell) - Book Appointment Online! As neurologists, our physicians are highly trained to treat disorders of the nervous system. This includes diseases of the brain, spinal cord, nerves and muscles. Some of the more common problems that a neurologist will diagnose and treat are strokes, epilepsy (seizures), headaches, dementias (Alzheimer's disease) multiple sclerosis, Parkinson's disease, and various forms of pain. Neurologists may serve as consultants to other physicians as well as provide long-term care to patients with chronic neurological disorders. I liked the staff, very kind. Dr. Saba had a good bedside manner and was very thorough explaining everything that I needed to know. After we were through with visit he again asked me if I had anything else to ask him. Dr. Bashuk , was very helpful and provided a great education to my son concerning sports and self care. I would highly recommend him.